the walls of the city protect monuments, churches and evidence of ancient civilizations. Walking through the typical alleys and tiny streets of the historical centre, the antique greek - romanian style is clear to the eyes of attentive visitors in via Pietà, via S. Cesareo, via Padre Reginaldo Giuliani and via Tasso. The volcanic stone marks out the alleys of Sorrento and thanks to the light which penetrates inside, treasures are unveiled that tell us the secrets of the historical centre. Lose yourself along these alleys where time seems to have stopped and the atmosphere still includes that magic of antiquity. 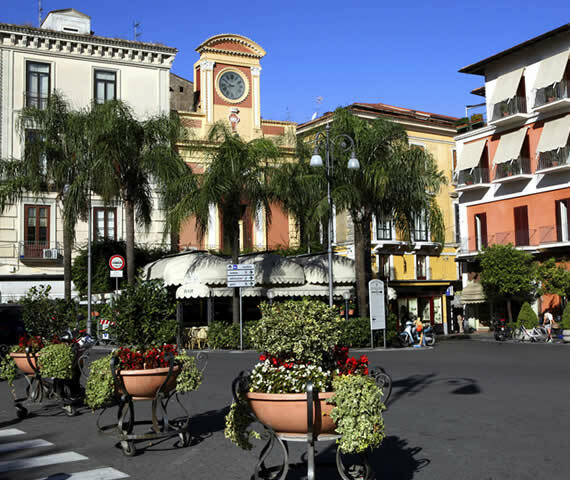 A lot of small shops and boutiques await you with typical products of the Sorrento tradition. South from the Sorrento Peninsula we can admire the magical Amalfi Coast, a source of inspiration for poets, singers and writers of all times. 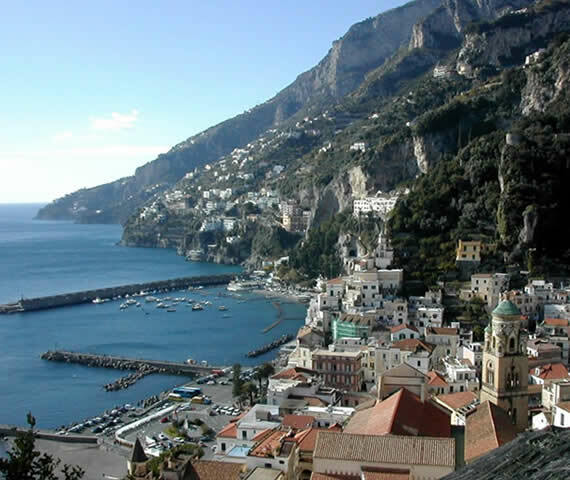 FromPositano to Vietri sul Mare we can admire the internationally famous coast, considereda world heritage site byUNESCO. Fascinating locations lead one into the other along the Amalfi Coast, each with its own unique character and traditions, all waiting to be discovered. At the reception you can ask for information about the one-day tours toPositano, Amalfi and Ravello. Located on the gorgeous and crystal clear waters of theGulf of Napoli, Capri Island is famous all over the world for its history and its origins. A favourite destination for the care of mind and body of ancient Roman emperors thanks to its position and to its natural resources. These include Tiberius and Augustus, who chose it as ideal location to spend their leisure time. The island has always hosted an society's elitè and today it is still the favourite location for the international jet set. 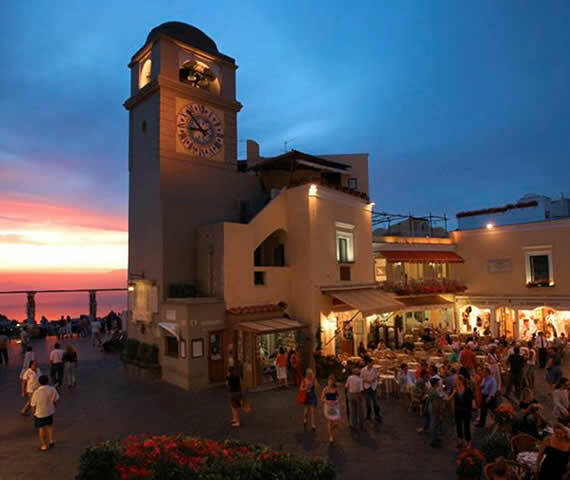 It can be easily reached by ferry boat or private boat from Sorrento, Capri is divided into two areas: Anacapri, which includes Solaro mountain and the famous villa of the poet Axel Munthe; the lower part: Capri where Marina Grande harbour can be found together with its typical Italian square and the botiques of internationally recognised labels. The archeological excavations of Pompei have returned the ruins of the antique city of Pompei, buried under a layer of ash and lapillus during the eruption of Vesuious in 79AD, together with Ercolano, Stabia and Oplonti. The excavations started thanks to Carlo III and are some of the most well preserved examples of roman life. The city, almost as well preserved as during that period gave up an outstanding quantity of artefacts such as frescos, mosaics and statues. They are useful to help one understand the customs, traditions, food, habits and the art of living as it was more than two millennia ago. 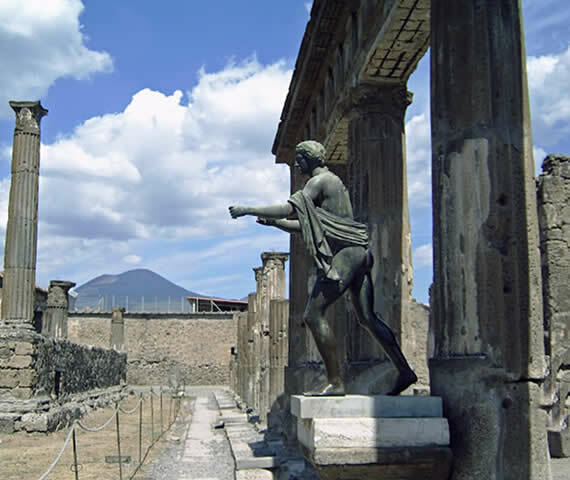 The Pompei site, which, in the first decade of the new millenium has seen a constant stream of visitors - more than two milion people per year. In 2010 it was the second italian archeological site with regards to the number of visitors (Beaten only by the musem centre which includes the Colosseum, the Roman Forum and Palatine Hill). The city of Napoli, rich in history and tradition dominates the gulf of the same name and is surrounded by wonderful places such as Vesuvious, the Sorrento Peninsula, the islands of Capri, Ischia and Procida and the Phlegrean Fields. Located at the centre of the Mediterrinean sea, the city has always had a fundamental linking role between different cultures and throughout the centuries it has witnessed the succession of historical phases which have left their mark on the architechture of the city as well as on the traditions and nature of current day Napolitan people. Administrative centre of the Campania region and "capital" Italian Mezzogiorno, modern day Napoli covers a surface of 117 Km2, with a population, just in the city, of more than one milion inhabitants. 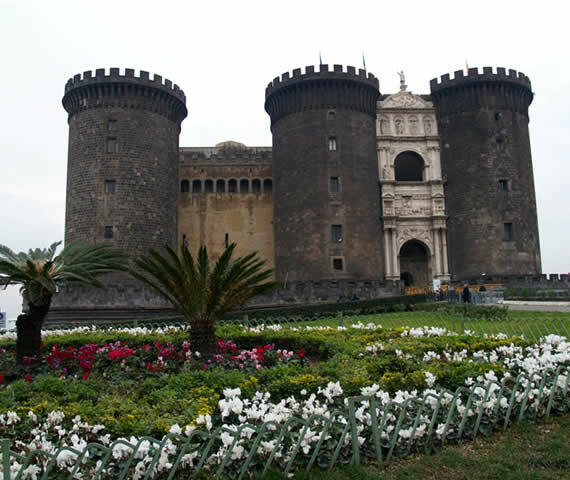 Between the monuments to be visited we recommend:the Maschio Angoino, the Royal Palace and Piazza Plebiscito, the Reggia and the Museum of Capodimonte, the National Archeological Museum, Castel dell'Ovo, the Duomo and the door of Sant Gennaro.